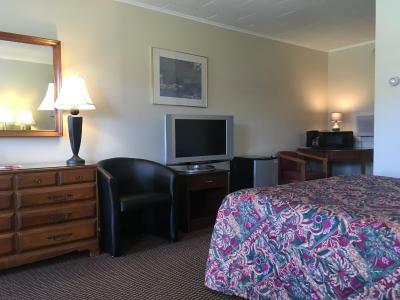 Lock in a great price for Catamount Motel – rated 9 by recent guests! Perfectly appointed basic motel, that was very clean, had coffee in the room, friendly staff. Nicer than I expected. Not the newest motel but its family owned and operated. They keep the room very clean and neat , i stayed there once my room was not the modern type but was very clean and sufficient. good size room . Owner was nice .. good parking and location right by downtown... walking distance ... next to Motel is gas station also convienient. would stay there again ... Price was fair $ 65. We absolutely love the room we had! It was on the end next to the office! The owner checked us in and was very friendly and outgoing. Clean comfortable and very nice room. Would stay again. The bed, pillows, gave us good night sleep. Convenient to downtown, old motel, but was clean. I liked very much all. Peter is the best, he help me with everything. He help me with transfer in town, to order food in the night. 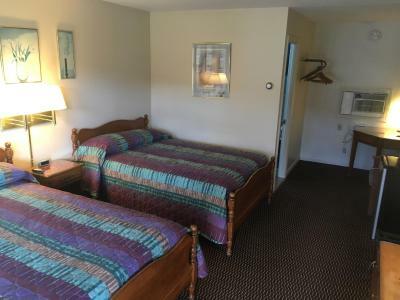 Is a very nice motel in Bennington, very clean, very nice rooms with all comfort. If I will came back definetly I will stay there again. Great value for the price. Owner/operator was friendly and helpful. Nothing fancy at all but met our needs very well. 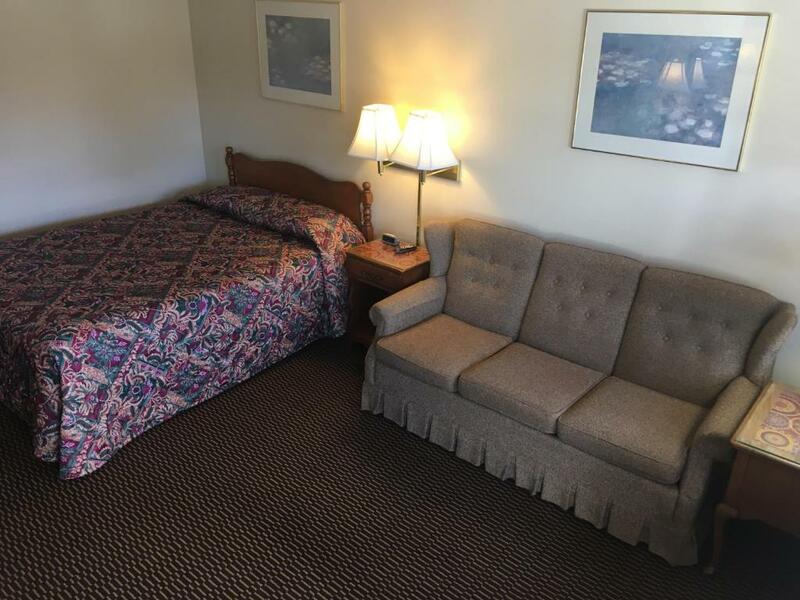 Nice clean room with walking access to the downtown area. Awesome, comfortable and convenient to everything we needed. CLOSE TO MAIN STEET ...WALKING DISTANCE. FRIENDLY STAFF, EFFICIENT AND HELPFUL WITH LOCAL INFO. MOTEL IS CLEAN AND TYPICAL OF STYLE 60'S THRU MID 80'S. REASONABLE RATES. ALL IN ALL IT LIVED UP TO OUR EXPECTATIONS. 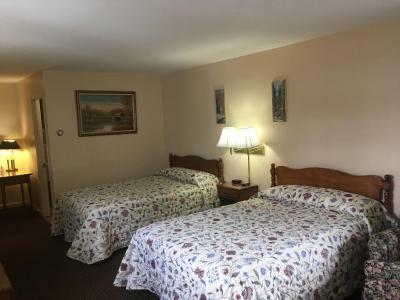 Catamount Motel This rating is a reflection of how the property compares to the industry standard when it comes to price, facilities and services available. It's based on a self-evaluation by the property. Use this rating to help choose your stay! 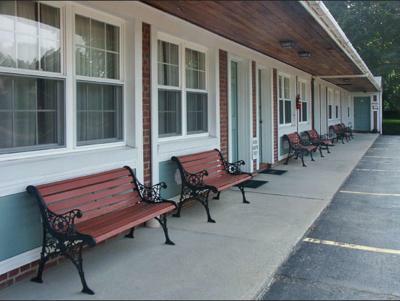 This motel is located 2 miles from the Bennington Battle Monument and Bennington Museum. 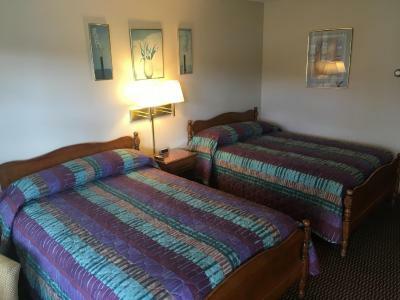 Catamount Motel offers free Wi-Fi access and features traditional guest rooms with a satellite TV. A mini-fridge and coffee maker are provided in every room at Motel Catamount. A work desk and a telephone with free local calls are also offered for guest convenience. 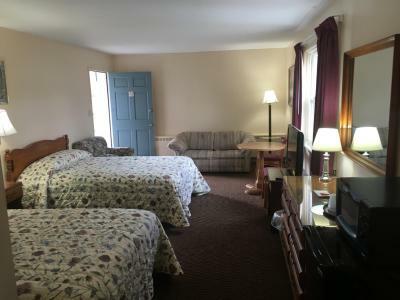 This motel is a 4-minute drive from Bennington Square Shopping Center, and a 6-minute drive from Southern Vermont College. Mount Anthony Country Club is 2 miles away. This property also has one of the top-rated locations in Bennington! Guests are happier about it compared to other properties in the area. This property is also rated for the best value in Bennington! Guests are getting more for their money when compared to other properties in this city. When would you like to stay at Catamount Motel? This room has a refrigerator and a coffee machine. House Rules Catamount Motel takes special requests – add in the next step! Catamount Motel accepts these cards and reserves the right to temporarily hold an amount prior to arrival. Closets were kinda funky. But that was my husband’s complaint because he had a suit. To hang. room was clean, spacious and staff was friendly. I was going to the Freshgrass festival and the hotel was conviently located. The facilities are outdated but still nice and clean. The staff is super friendly. No conditioner supplied but did have shampoo. Dispenser on wall was empty of both but small bottles of shampoo provided.